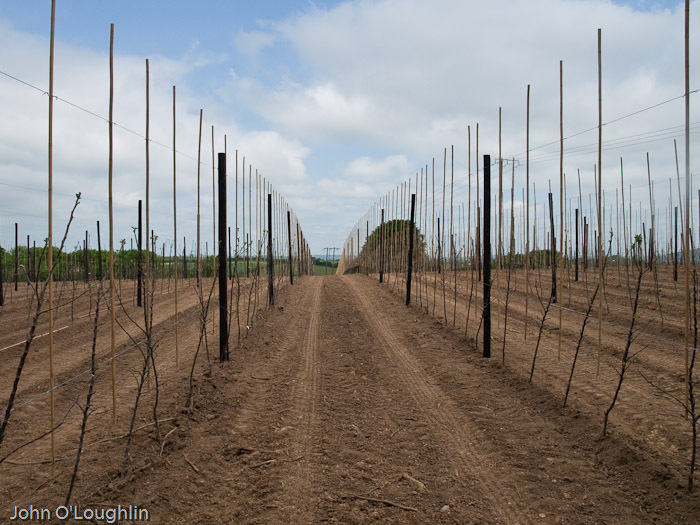 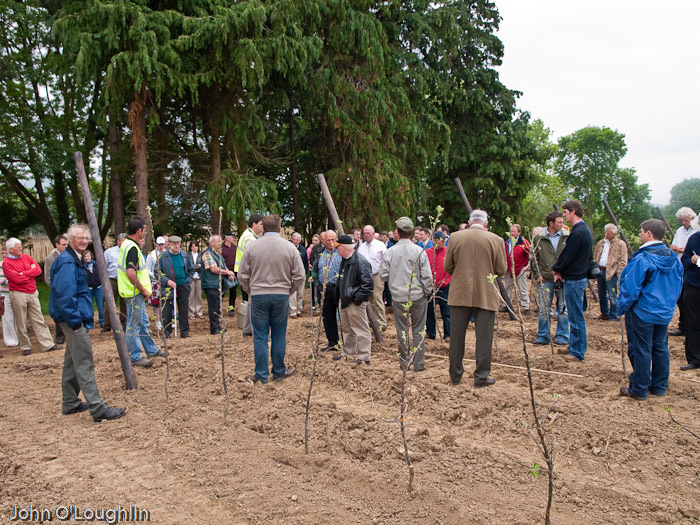 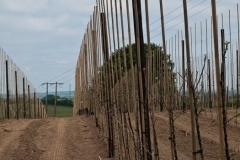 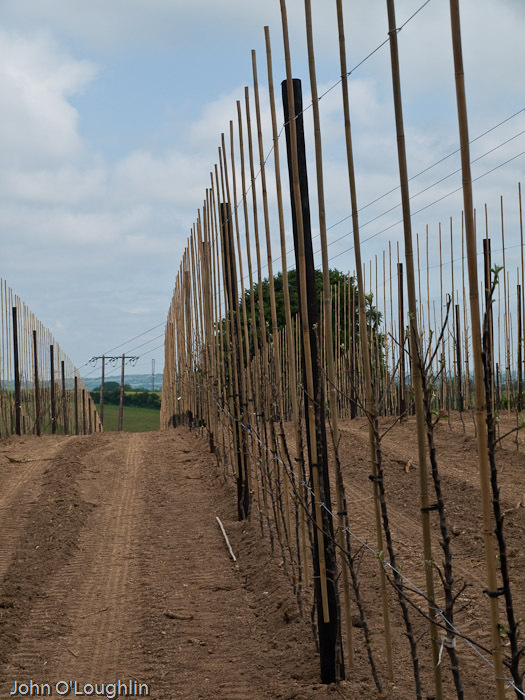 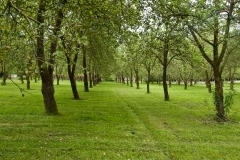 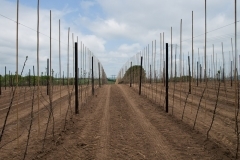 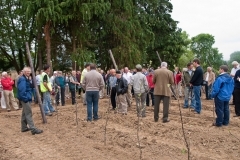 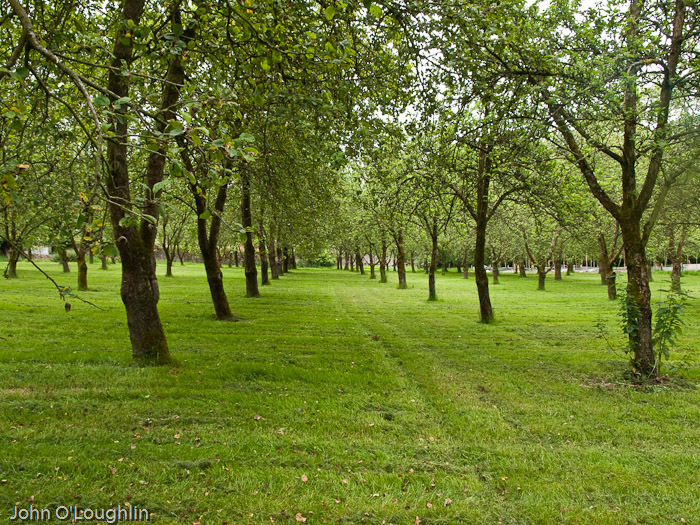 There we saw both the traditional orchards and the new style apple wall orchards, some of which were only at the planting stage. 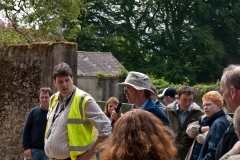 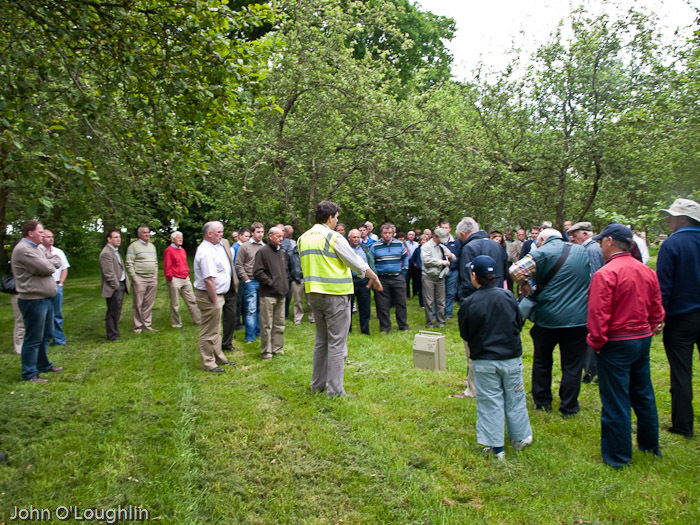 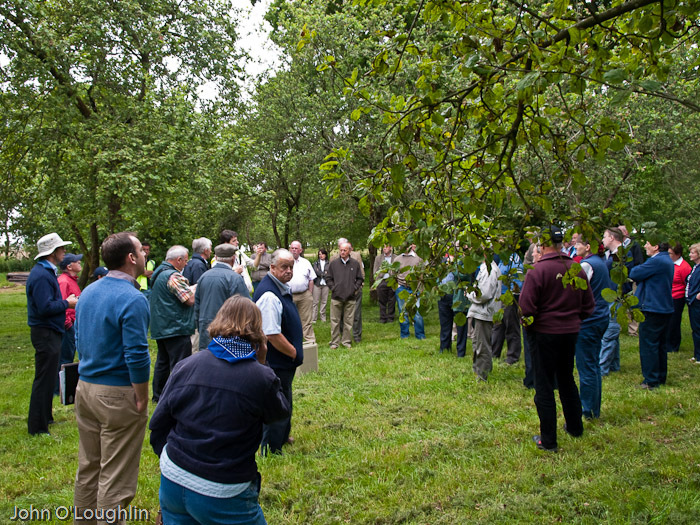 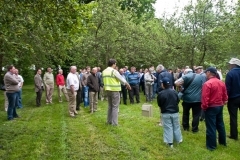 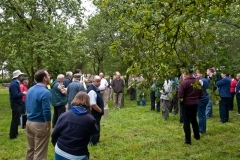 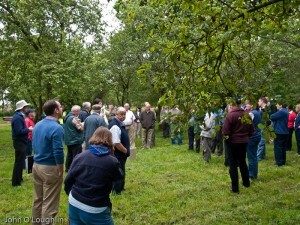 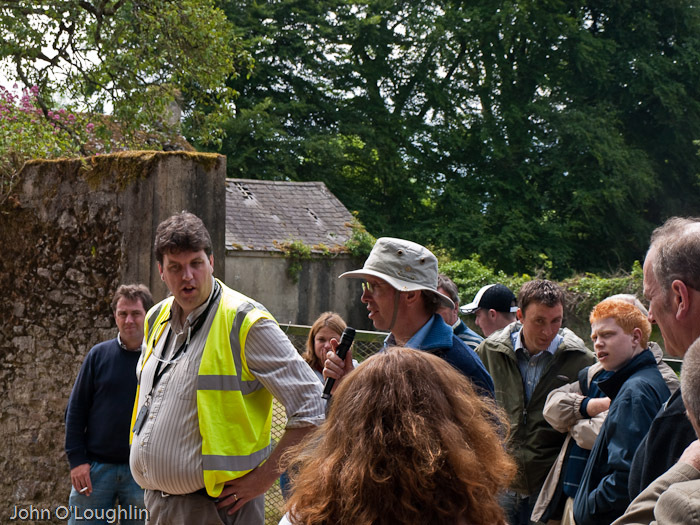 After viewing the orchards we had a short presentation on the importance of honey bees to the pollination of the trees. 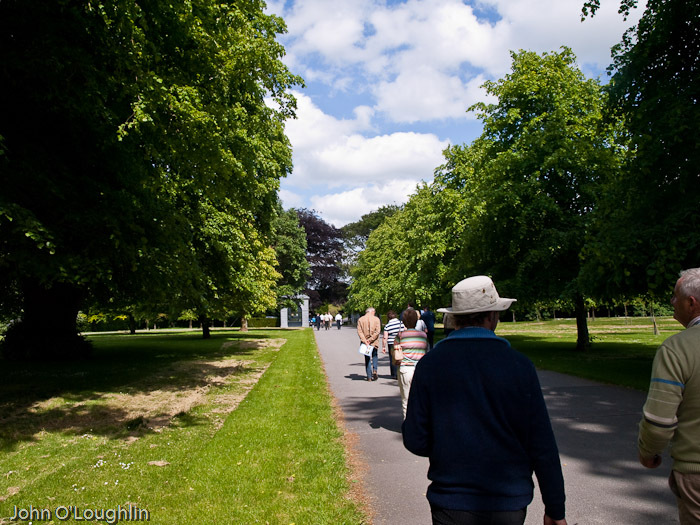 When we had finished in Blumers it was back on the busses and back to McCarthys for lunch. 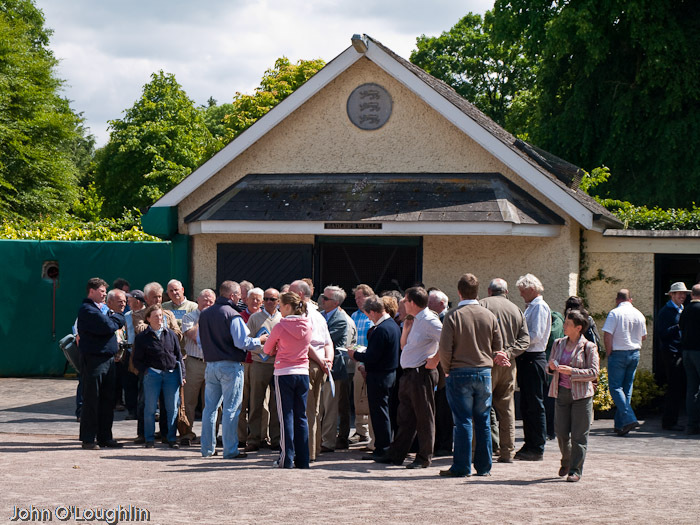 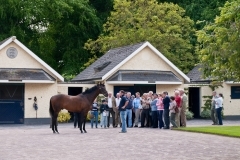 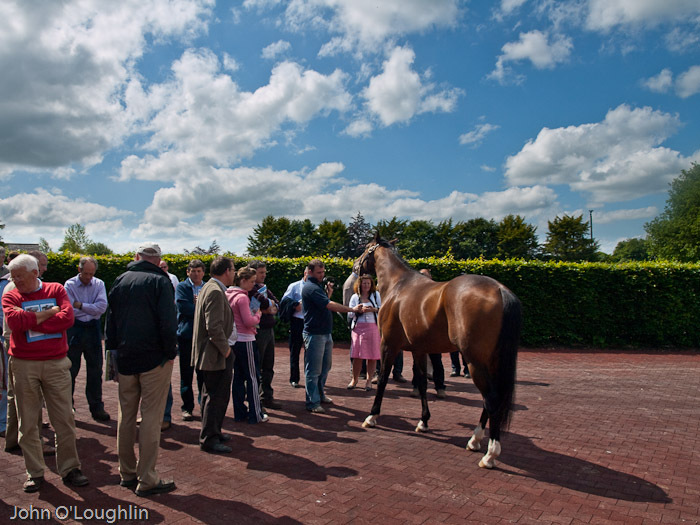 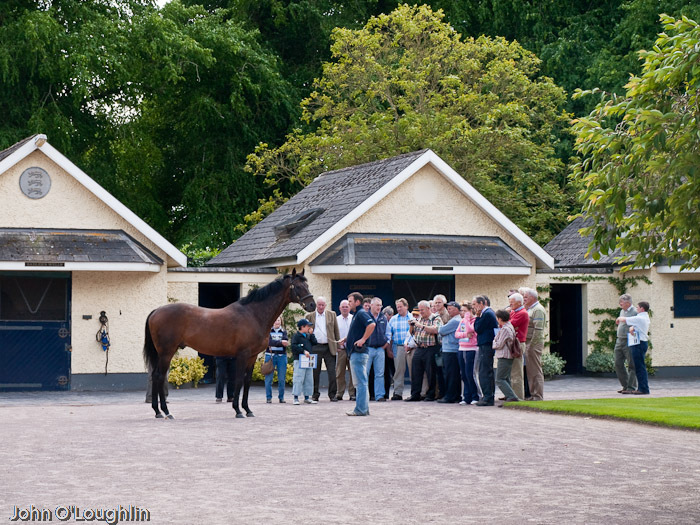 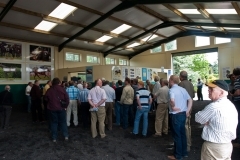 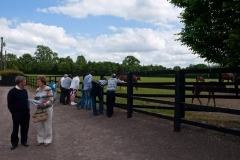 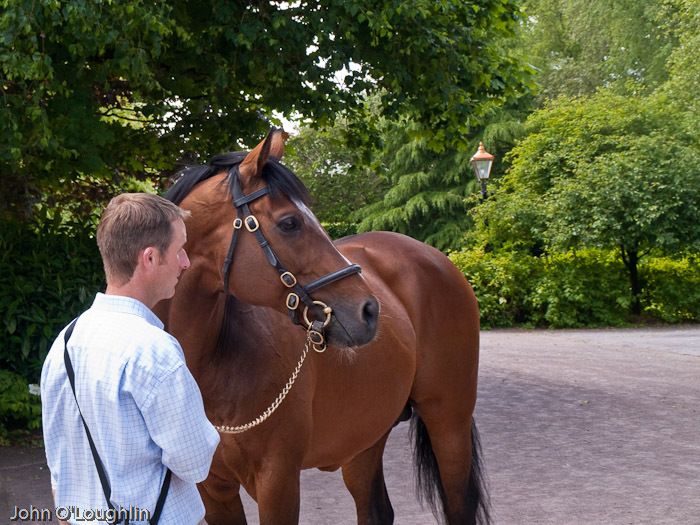 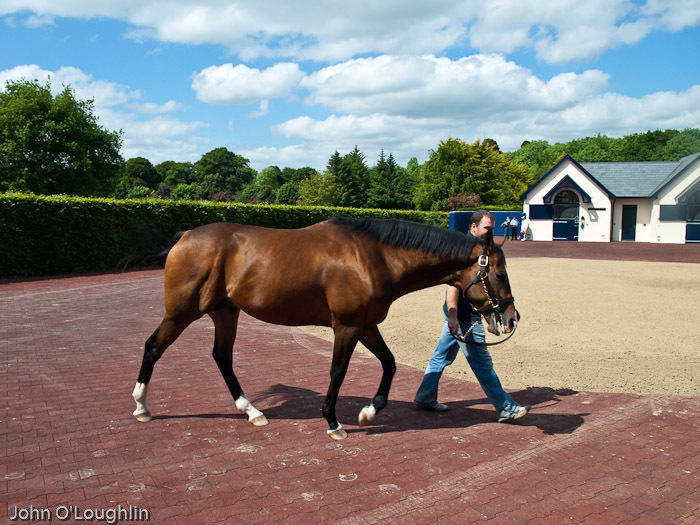 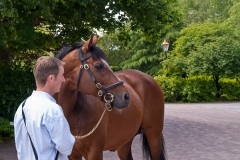 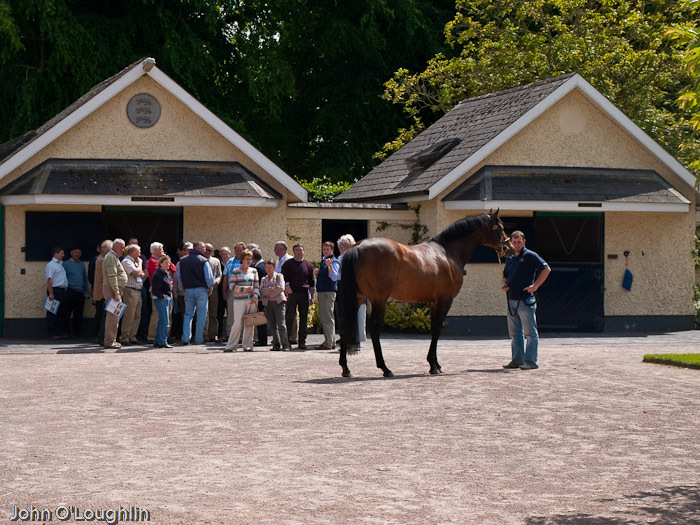 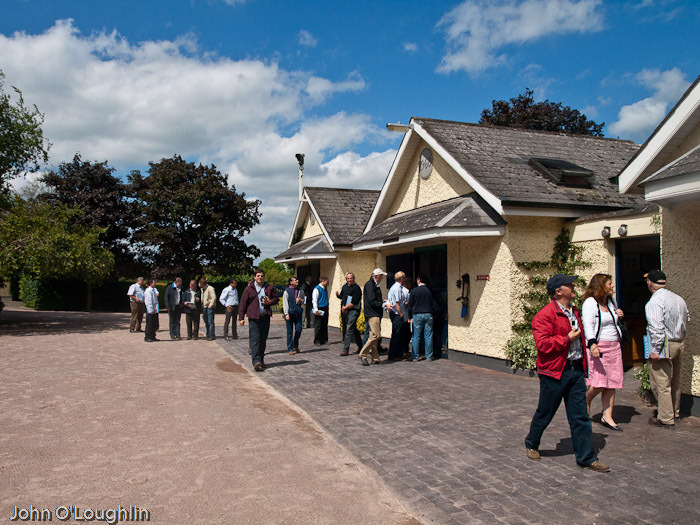 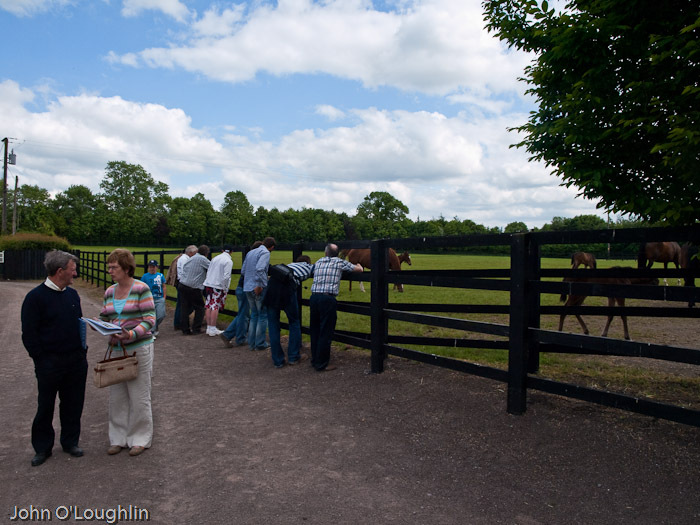 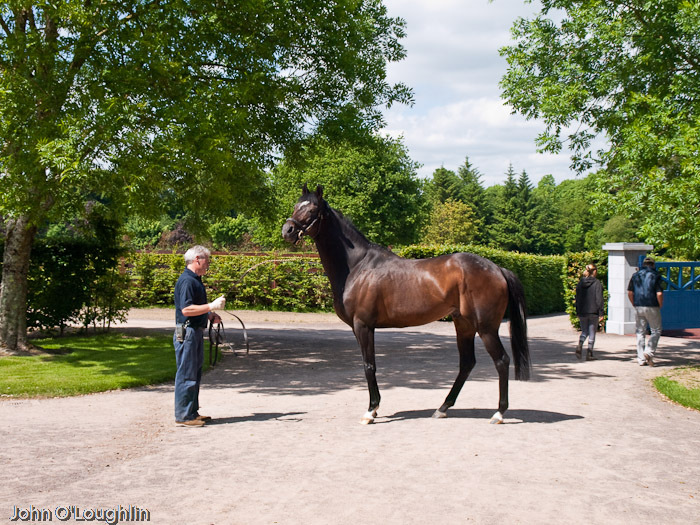 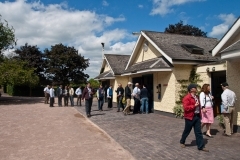 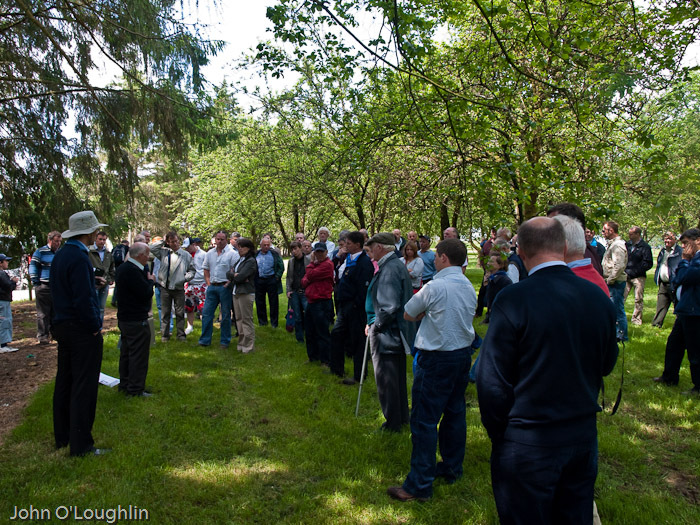 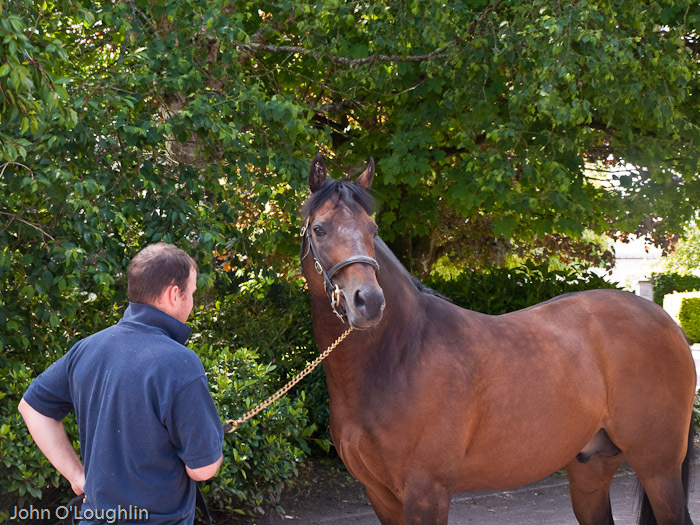 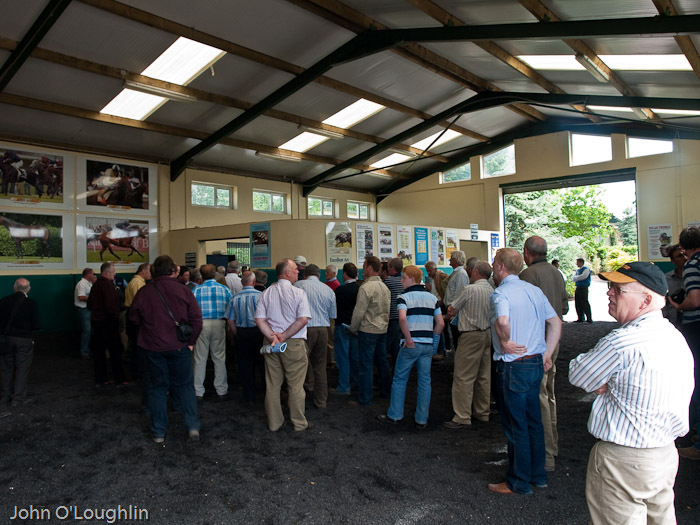 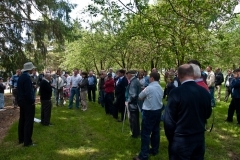 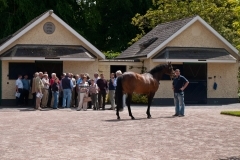 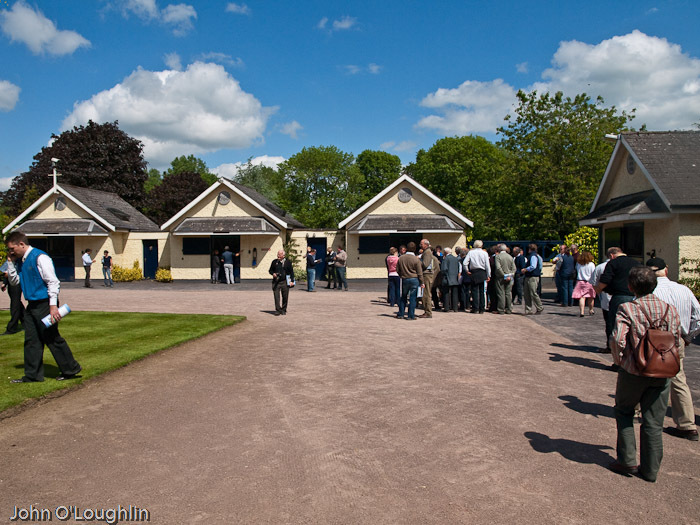 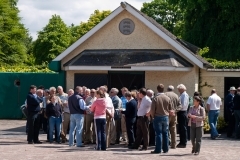 After a top class lunch we loaded up again on the busses for the short trip to Coolmore Stud, there we were warmly received and given a full guided tour of all the various elements of one of the top stud farms in the world. 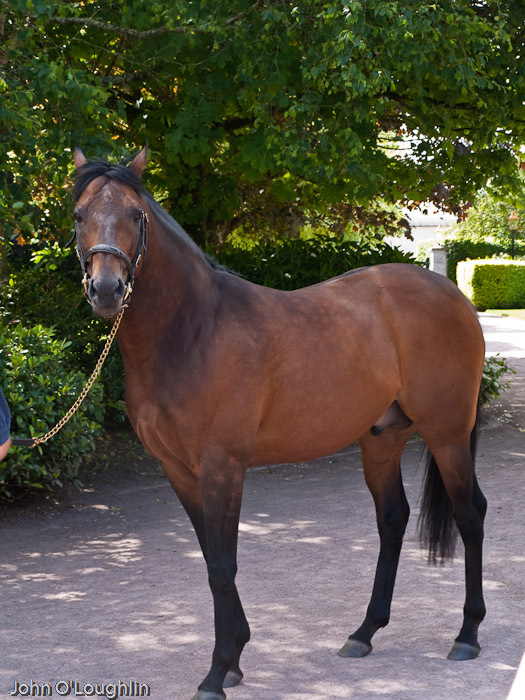 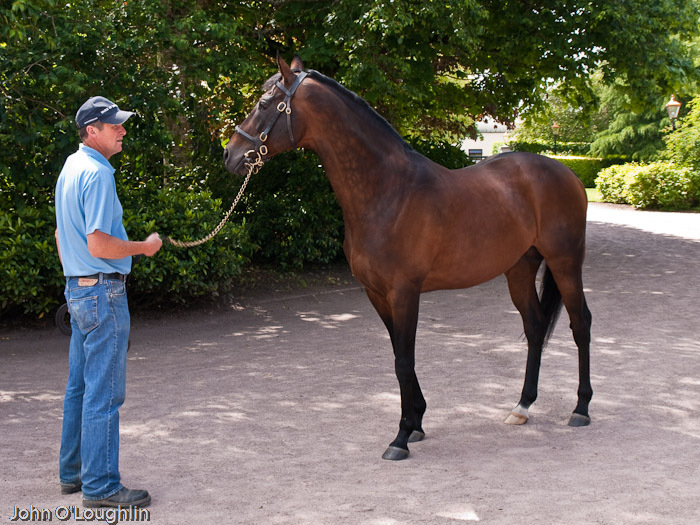 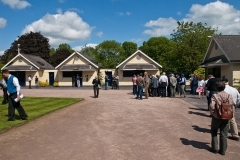 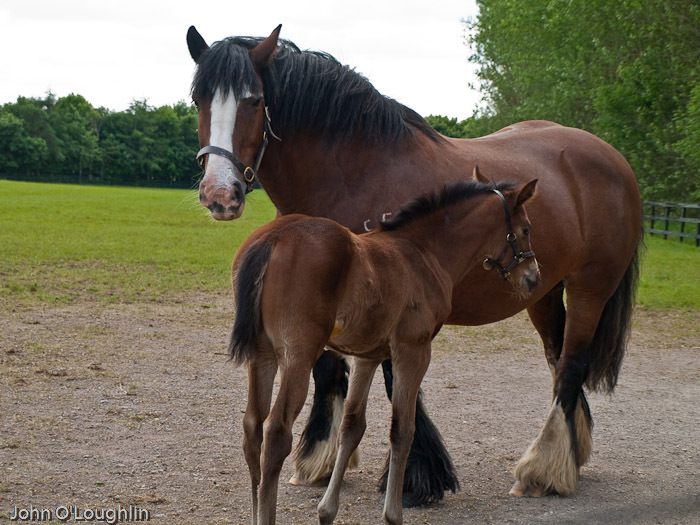 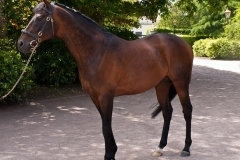 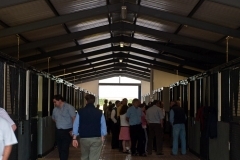 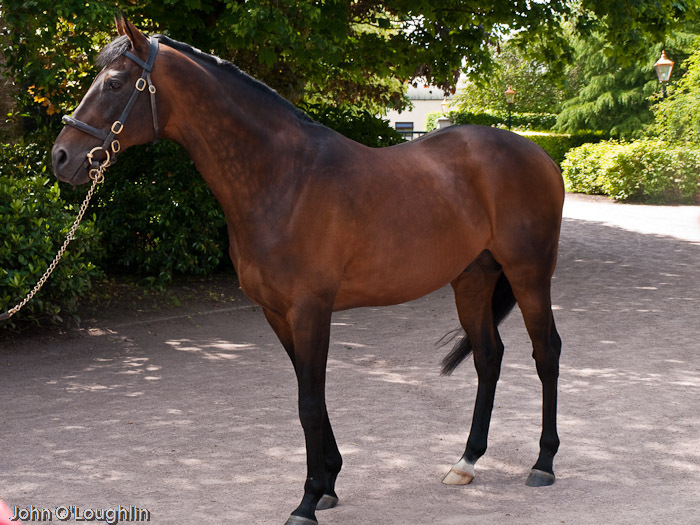 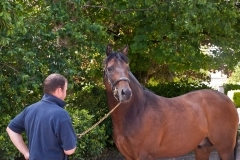 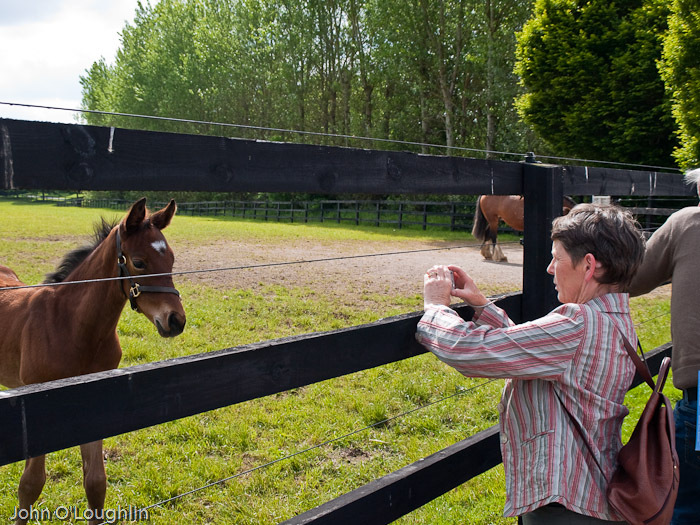 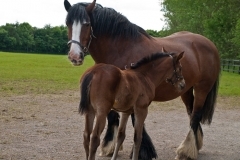 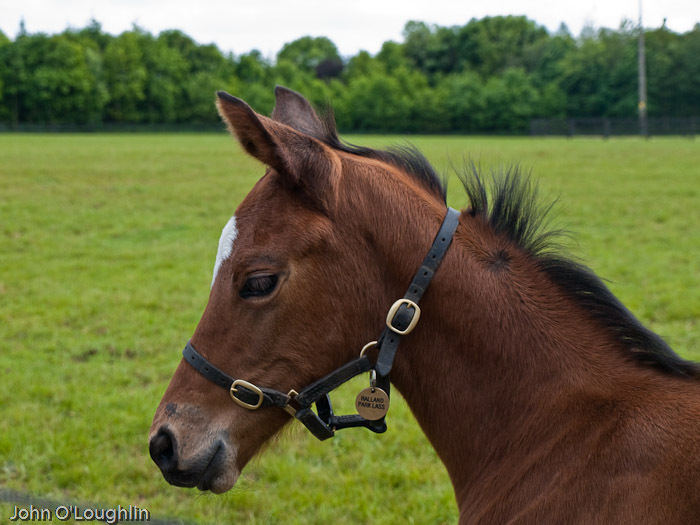 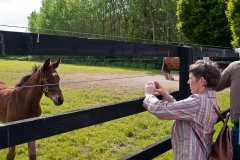 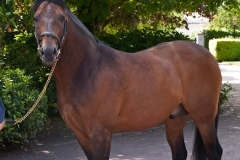 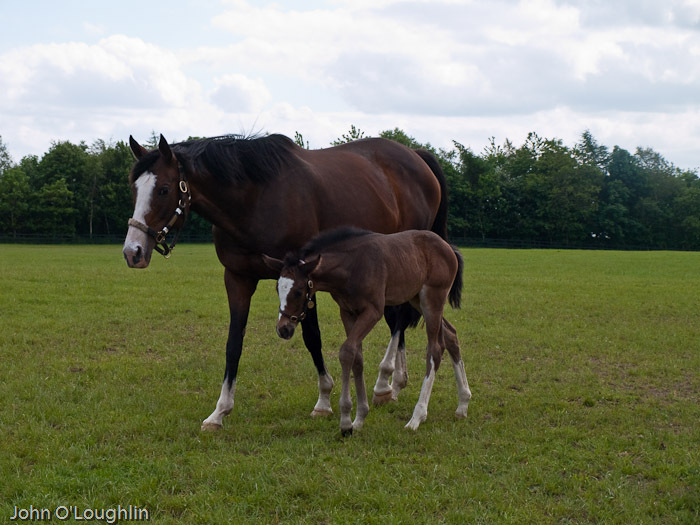 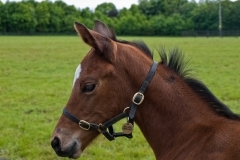 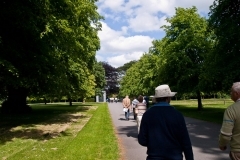 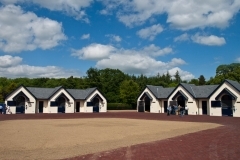 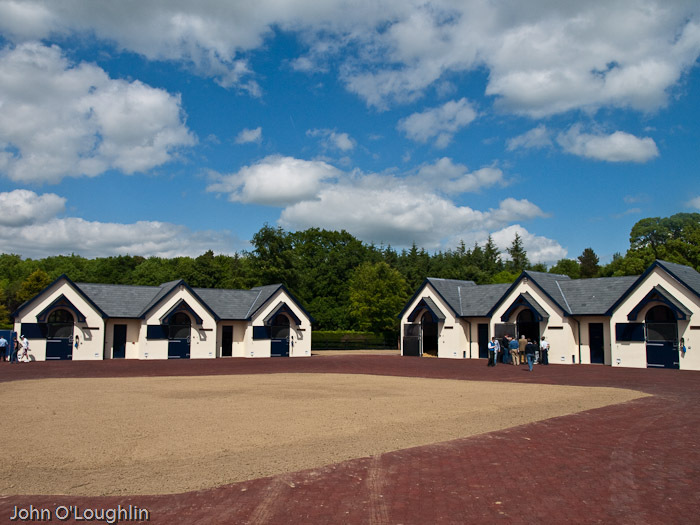 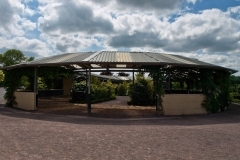 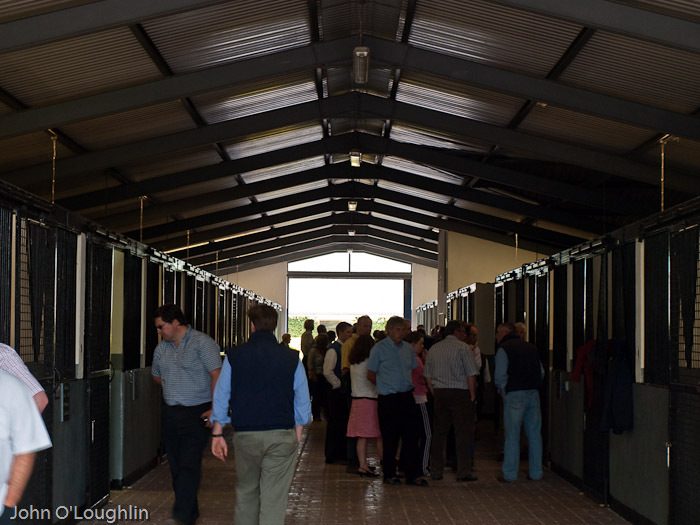 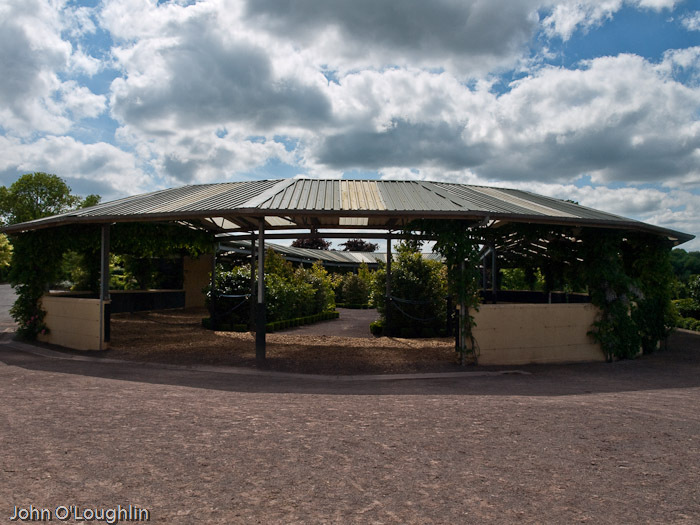 We saw the stallion yard, where we had a viewing of all the top stalllions resident there, the covering shed, the foaling yards and all the mares and foals in their paddocks. Before we left we were treated to refreshments in the boardroom.